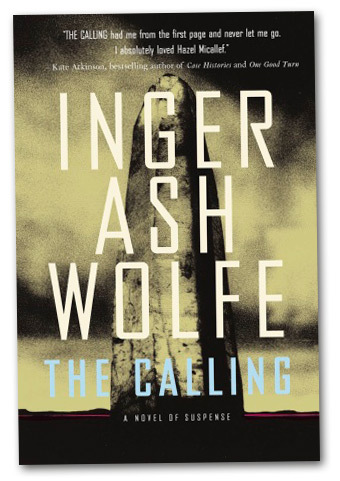 Speculation has been swirling in Toronto’s literary community over the authorship of The Calling, a new recent crime fiction novel, penned by a prominent and highly-regarded writer under the alter-ego of Inger Ash Wolfe. First, Maclean’s guessed the author was Jane Urquhart, who denied the rumour. Then, citing as evidence a handful of anonymous leaflets distributed to publishers, The Star pointed the finger at Michael Redhill, one of Torontoist’s favourite authors. He coyly side-stepped the question without firmly denying it. Finally, Quill & Quire suggested Linda Spalding as a candidate, but she too rebuffed the notion. Pseudonyms are common enough in crime fiction—from Franklin W. Dixon to John Ross MacDonald—but the real identity usually emerges eventually. In this case, the publisher denies that they’ll ever reveal the secret. Is the secret a mystery-wrapped publicity stunt to generate pre-release buzz, or a genuine attempt to identify the book as a first-in-genre launch instead of a first-time-author? Either way, now that the book’s in stores, is it worth the hype? The Calling focuses on the investigation of the murder and mutilation of an elderly woman in the fictitious community of Port Dundas, Ontario. Detective Inspector Hazel Micallef, a heavy drinking divorcee in her sixties, leads the investigation, and her efforts soon uncover a series of similar deaths—ritualistic killings of the terminally ill—in small towns across the country. Central to the story is Canada’s urban-rural divide, and Toronto emerges as an off-stage character. The crime of the city is both a target of criticism in Port Dundas, and a badge of authenticity worn by the provincial police authorities who imagine rural police work entails little more than petty break-ins, car crashes, and bar fights. Dismissing Micallef as inexperienced and panicked, they ignore her requests for extra support. The killer takes advantage of this situation by obscuring the pattern of his crimes in off-the-path towns with fewer police resources. Micallef is forced to cobble together an investigation with officers borrowed from neighbouring districts and volunteers coerced into sharing their expertise. Given that the author’s eye for recreating life in small-town Ontario parallels the textured details that recreated city life in yesteryear Toronto for Consolation, it’s believable that Redhill could be the author. The characters are strong as well. Although a past-middle-age protagonist seems about as relatable as a meddling Jessica Fletcher, Micallef emerges as a well-rounded character toeing the line between diligent investigation and beyond-the-law pursuit. The killer, a self-taught naturopath with religious ambitions, is also given depth with substantial portions of the text told from his point of view. Overall, it is an suspenseful and enjoyable read with plenty of twists—one too many, in fact, near the end, which shifts the story from a taut story of investigation to a showdown conclusion better suited for a thriller. Image courtesy of McClelland & Stewart.